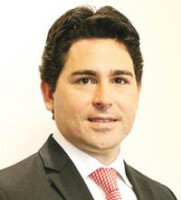 Cesar Peduti Filho is managing partner at Peduti Advogados. He is an attorney at law registered at the Brazilian Bar Association and a registered industrial property agent with 18 years’ experience in IP matters. He is an experienced lawyer in the IP field, specialised in contracts and legal advice for IP and IT matters. Mr Peduti Filho is also competent at dealing with matters of trademark and patent rights, franchising and licensing, data protection, technology transfer and domain names. Mr Peduti Filho holds a bachelor’s degree from Faculdades Metropolitanas Unidas and an LLM in IP law from the Getutio Vargas Foundation (FGV). He specialised in entertainment law at the Instituto Internacional de Ciências Sociais and in the taxation of IP and IT businesses at the FGV. Mr Peduti Filho is a member of the Brazilian Association of Industrial Property Agents, the Brazilian Association of Intellectual Property, INTA, the International Association for the Protection of Intellectual Property, the Italian Chamber of Commerce (ITALCAM), the Brazilian Association of Licensing, the Sao Paulo Association of Intellectual Property (ASPI) and the Association of Corporate Law Firms (REDEJUR). He is also counsel at the Brazilian Association of Software Companies. Mr Peduti Filho was international affairs director at REDEJUR from 2016 to 2018. He has been social director at ASPI since 2013 and a member of the ITALCAM Legal Committee since 2014.